At The Blue Willow, your satisfaction is our number one priority. If, for any reason, you are not completely satisfied with your purchase, please let us know. 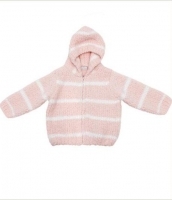 Regardless of purchase location (in-store or online), all returns must be unused merchandise. All tags accompanying the merchandise must be intact. Damaged merchandise will not be accepted. Eligible Items may only be returned within 30 days of purchase. Items returned in new, unused condition, and in original packaging with all tags attached will receive in-store credit. 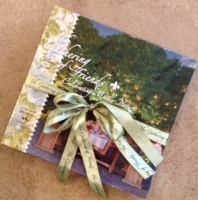 If merchandise was received as a gift, you will have 30 days from date of purchase, NOT date of receival. 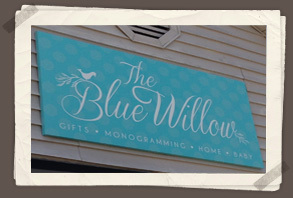 If your purchase is from TheBlueWillow.com (including in store pickups), you must abide by the Online Return Policy. Eligible items are gladly accepted within 30 days of receiving the purchase (see “Items not eligible for Return”). Items returned in new, unused condition, and in original packaging with all tags attached may be exchanged or receive in-store credit. If merchandise was received as a gift, you will have 30 days from date of purchase, NOT date received. Shipping charges will not be refunded and in-store credit will not be issued. Please contact us for approval of returns. Items returned without authorization from The Blue Willow will be refused and you will incur shipping charges both ways. Please send your returns in a trackable manner. Unless it is the error of The Blue Willow, the customer will pay for return shipping charges. If your item is returned damaged, The Blue Willow is not liable and your exchange/refund will not be processed. We strive to package all merchandise to the highest standards to ensure a safe delivery. If the item you have ordered is in damaged condition, you must keep any and all packaging (boxes, peanuts, paper, etc) and contact The Blue Willow to file a claim. Claims must be made within one week from the arrival of shipment. If the original packaging is not saved along with the damaged merchandise, the claim cannot be processed and any replacement expense is the responsibility of the customer. Shipping is available within the contiguous 48 states. Shipping will come via UPS or USPS. We will not ship to a PO Box. Standard shipping fees are $12. We reserve the right to charge additionally for oversized or overweight items, or returned orders due to a wrong address. Shipping expenses can be quite high, and we strive to keep our costs low to offer you the best possible prices. We will make every effort to accommodate your request to cancel or change your order. Unfortunately, if we are not able to change your orders once it has been processed, we ask that you do not refuse any items shipped to you. You will be responsible for accrued shipping charges, if so. At The Blue Willow, we make a great effort to ensure the accuracy of our web site. But mistakes do happen in descriptions, prices, or shipping quotes. We reserve the right to correct errors and appreciate your patience and understanding. We will do our best to work with you to reach a fair resolution. You will have the opportunity to cancel your order. Promotions and discounts may be available at times. We will always give instructions on how to redeem. Promotions and discounts may not be combined with any other offer or used in any way other than stated. Not all promotions or pricing may be available both in-store and online. 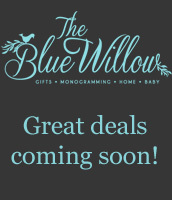 The Blue Willow will not price match in-store prices with online prices or vice versa.